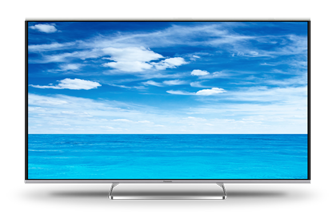 Panasonic made improvements to their Smart TV platform in 2013. Things are no different this year. The Viera Connect suite is now known as Viera Life+ Screen. Some of the biggest changes involve the user interface and how the TV learns viewing habits and preferences for individual users. As far as interface is concerned, Panasonic came up the the my Stream screen. This screen brings content from all sorts of sources like Recorded content, home movies, family photos, web pages, and online videos. Voice navagiation is included once again to help the user get to their content faster. Life+ Screen TV remotes are equipped with a new feature as well, the myButton. Press this button when you are watching a program you like and the TV will begin to learn your preferences and tailor recommendations. Life+ Screen TVs also feature an Auto Wake function that sense when someone is nearby. Once the TV is up and running the new Info Bar will display useful information like the time, date, and current weather. TVs equipped with a video camera will also be able to identify who is using the TV. © 2011 LCD TV Buying Guide. All Rights Reserved.